With Thanksgiving around the corner, I've been brainstorming for ways to thank all of my readers for your comments and support after starting this little blog a few months ago. Even if you don't comment, the fact that you follow Home Sweet Ruby and read my rambling posts means the world to me! I honestly never thought I'd have a single reader... besides my Mom! So as a thank you for being awesome, I've got some fun goodies courtesy of Rifle Paper Company to giveaway to a lucky reader! 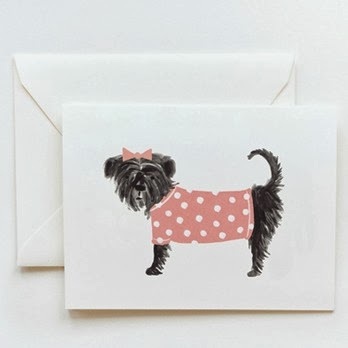 I'm pretty much obsessed with Rifle Paper Company, and would probably buy every single item if I could. I have already hinted to my husband that their products would be great stocking stuffers. Is it weird to have stationary on your Christmas wish list? Hello, the pup on this card looks exactly like Ruby! I'm also currently obsessed with the Rosalie Notepad, Botanical Journal, Floral Monogram Card, and Floral Foil Birthday Card.. just to name a few! There are also have some adorable holiday products, including these Thanksgiving cards and place cards that make up today's giveaway! Thankful Forest Card. Gobble Gobble Card. Marigold Blooms Place Cards. How cute are these?! They are perfect for sending to the other side of the family if you're rotating holidays like we are. I'm also pretty sure my family members would mess with me and move around the place cards, but you know I'd totally be using them if we were hosting. Make sure to enter below, good luck, and THANK YOU! Giveaway ends at midnight on November 7th and winner will be notified via email. 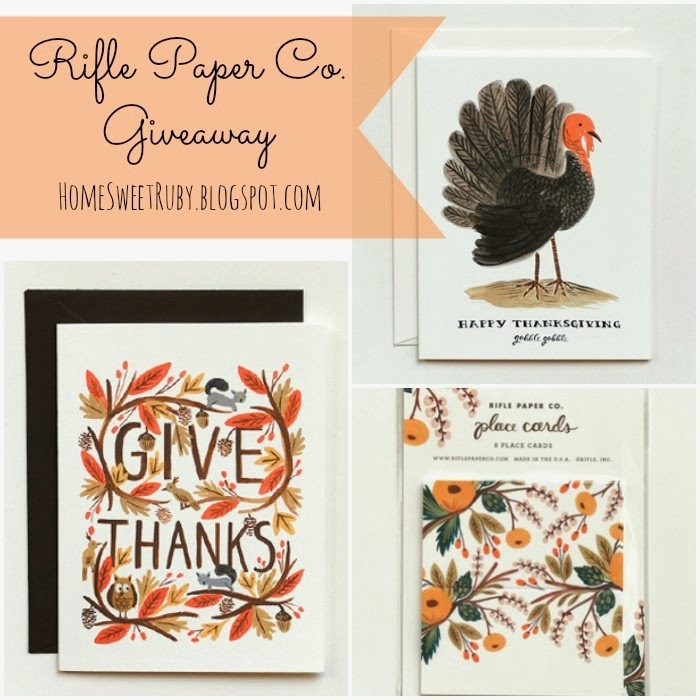 This giveaway was in partnership with Rifle Paper Company. I was not compensated in any way and all opinions are my own. Great giveaway! I love Rifle Paper Co. You're so good to your readers I need to treat mine soon as well! Love me a giveaway and love your blog! Xoxo! Pick me pick me! Cutest note cards! eee!! Love the almost vintage look to the stationary! Same here! They are great quality too! I love Rifle's products, just posted about them today!